All of us get into a rut. I know that I certainly do, especially when it comes to prayer. Like many other things in life, routine can build momentum but it can also contribute to monotony. A friend of mine, Allan, once told me that he tweaked his workout routine every few months. The reason? To avoid getting so routinized that the enjoyment of working out gets lost. Your prayer life is no different. • You have no desire to pray. • Other people are annoying you. • You are more distracted than usual. • You have been using the same tools for several months. Now, let’s say that you experience three or more of these indicators- take note of that. Then, ask yourself what you’re prepared to do about it. After all, you can’t face burnout and then just ignore the warning signs. Imagine for a second that your body was giving you signs of a heart attack- you would take swift action! Your prayer life, your intimate relationship with God, deserves the same urgency. Don’t panic just because you sense burnout and your prayer feels stale. Everyone I know who is serious about his/her faith goes through some level of this. As the saying goes, “it’s part of the process”. It’s not bad, especially if you notice it. What would be worse is to lack all spiritual sensitivity and just go through life without any attention to prayer. Yet, this sense of needed change is not one to barge into. Rather, it takes a discerning heart and a willingness to make some changes. Give yourself permission to make some edits to the way you pray. 1. Picking a different time to go to Mass. 2. Using a different daily devotional book (if you use one). 3. Modifying your prayer corner at home. 4. Listening to sacred hymns as you begin your time of prayer. 5. Finding beauty in icons. 6. Flipping your morning prayer time to evening. The key, as with many other things in life, is to make some effort to be present to God over and over again. The way in which you pray is essential to this. 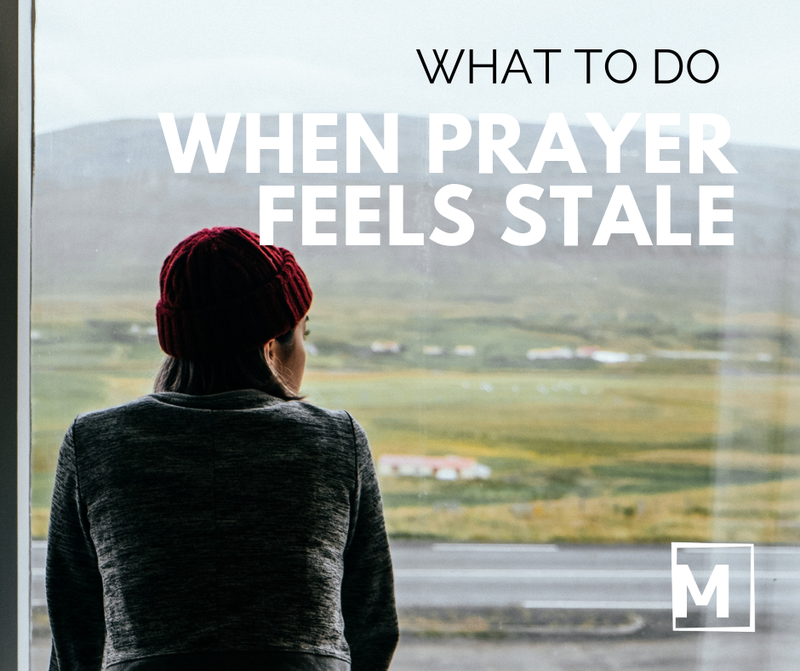 Rather than letting your prayer life simply fade out, try something new. This is not to be misinterpreted as if we can make it all happen by our own effort. Hardly! Prayer isn’t easy. It takes practice and perseverance. Yet, what a beautiful opportunity we have- day after day- to make ourselves wholly present to God.